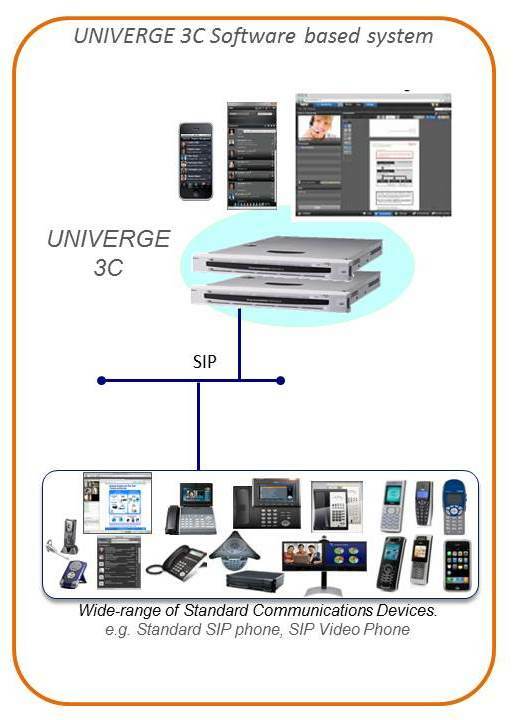 UNIVERGE 3C for Medium Business/Small Enterprise is a complete, unified communications software based communications server solution designed specifically to meet the needs of medium size businesses and small enterprises looking for productivity-enhancing, user-centric applications to effectively compete in today’s marketplace. A complete, software-based communications server solution designed to seamlessly integrate and reside within the application environment of any business. Univerge 3C functions as a communications server, it integrates communication channels with business processes, and it supports unified communications applications. Univerge 3C is unique because as a software-based solution, it can run on any underlying network infrastructure. Univerge 3C delivers unmatched flexibility, reliability and scalability in an open-system solution.